The Francis Hilb Preserve- in the fall this fen will be covered with cranberries. 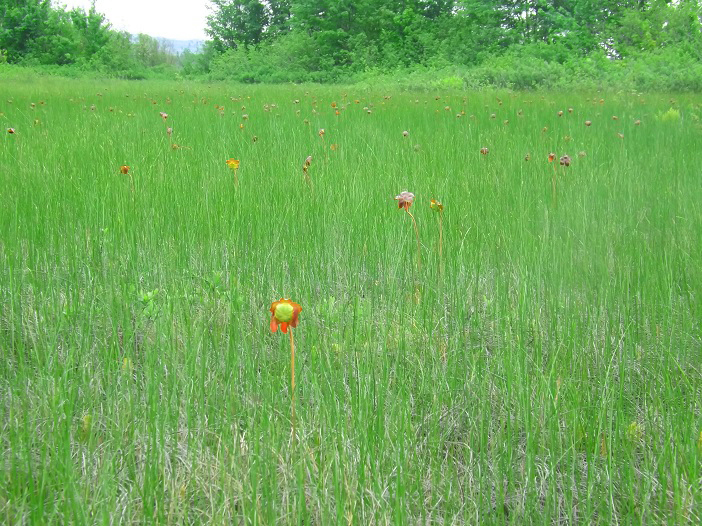 Right now the wetland is covered with insectivore plants. In another week or so, this fen will be ablaze with colour as wetland plants coming to life- bog rosemary and Arethusa bulbosa or the dragon’s mouth, among the unique display. Marshes, swamps, bogs, and fens –all are classified as wetlands, each possessing their own unique values. Natural functions of wetlands protect and improve water quality, provide habitat for fish and wildlife, and maintain surface water during dry periods. And inherent to all wetlands is their unmatched ability to serve as massive sponges that hold back floodwaters –a characteristic that can be appreciated by many Goulais Bay residents. 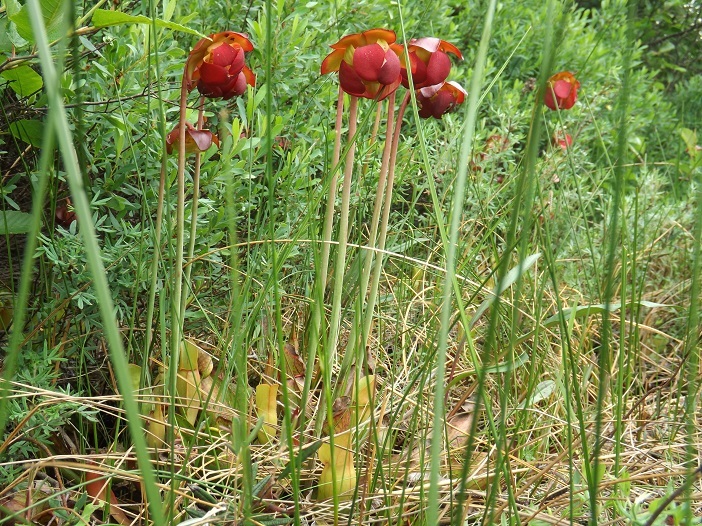 Pitcher Plant- An insectivorous plant. It is not the rich burgundy flower that traps insects but the cup shaped leaves at the base of the plant. Sliding your finger along the interior of the cup produces a gentle pulse, as the leaf curls slightly around the finger, and little ‘feelers’ rise up to hold their prey. 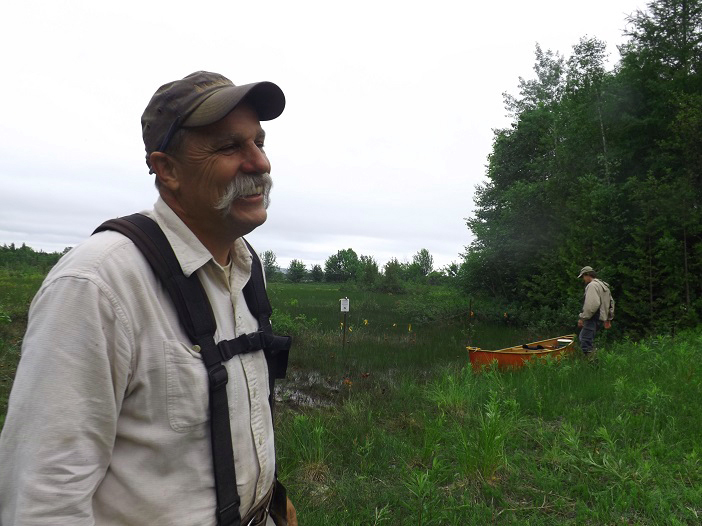 Conservancy, is a 9-acre fen that progresses from the ever changing shoreline of Lake Superior’s Goulais Bay, eventually vanishing into the ancient boreal forest of birch, cedar, spruce, pines, balsam and alders. Fens are differentiated by a water table close to the surface and therefore remain very wet with minimal water movement. 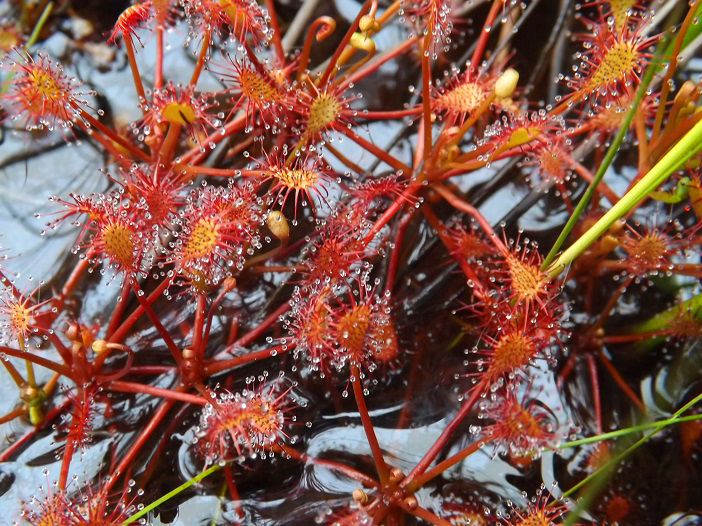 Sundews- another insectivorous plant. This low lying plant presents a sticky substances on their tiny stalks, trapping unlucky bugs. the mineral soil is right near the surface, it is easy to disturb and damage the plants by walking through it,” remarked Meades. Meades intends to revisit the fen to build on her original inventory assessment. 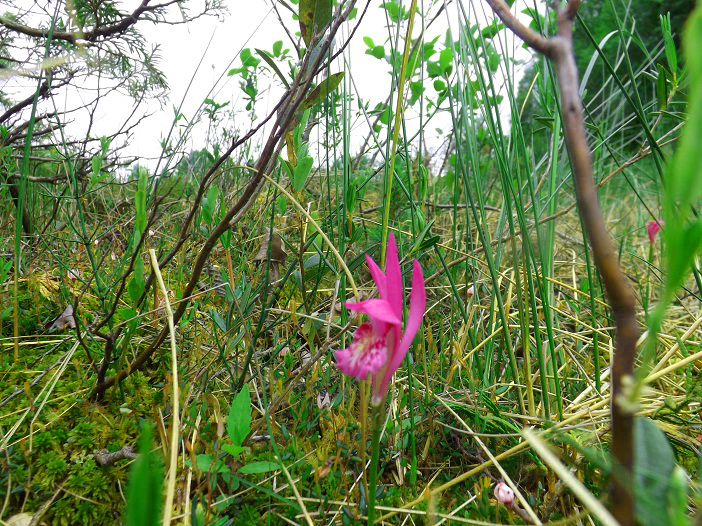 Arethusa bulbosa, the dragon’s mouth or less commonly called ‘swamp pink’. One of the many beautiful flora gifts offered up by the fen. “There is a very small percentage of wetland remaining on Lake Superior, so this is a very important ecosystem on Goulais Bay,” remarked Joanie McGuffin, Executive Director of LSWC. any other wetland that is on a tributary to any of the above-specified water bodies and lies, either wholly or in part, downstream of a line located 2 kilometres upstream of the 1:100 year floodline (plus wave run-up) of the large water body to which the tributary is connected. * The Algoma District falls within the catchment of Ecoregion 5E. The ecoregion known as the Georgian Bay Ecoregion, “is situated on the southern portion of the Precambrian Shield, in south-central Ontario, extending from southeastern Lake Superior in the west to the central portion of the Ottawa River valley and the Quebec border in the east. It encompasses 7,447,869 ha (7.5% of the province). 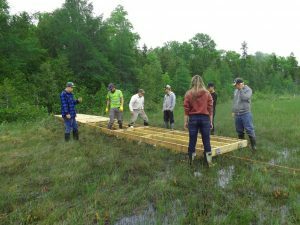 In 2013, Lake Superior Watershed Conservancy received a grant from the Great Lakes Community Guardian Fund enabling the development of a boardwalk. 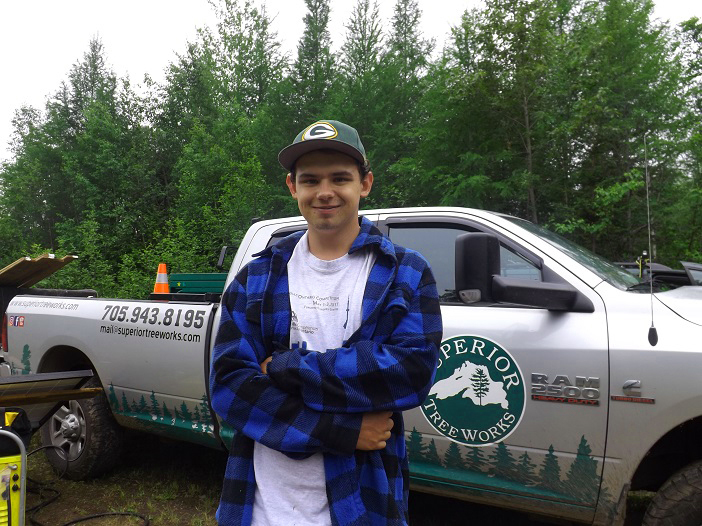 Partners on the project also include Soo Mill who discounted as well as donated lumber for the structure, Jesse Fitton of Superior Treeworks who provided oversight and hands on support, and White Pines High School. LSWC Board member, Bob Moore -a former White Pines teacher and now retired, used his connections to reach out to White Pines’ House Building Program. 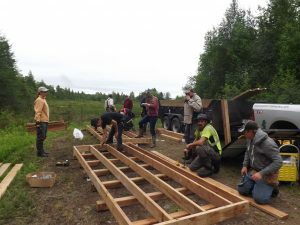 This week, five students from the program built and laid out the boardwalk that now lies across the fen. 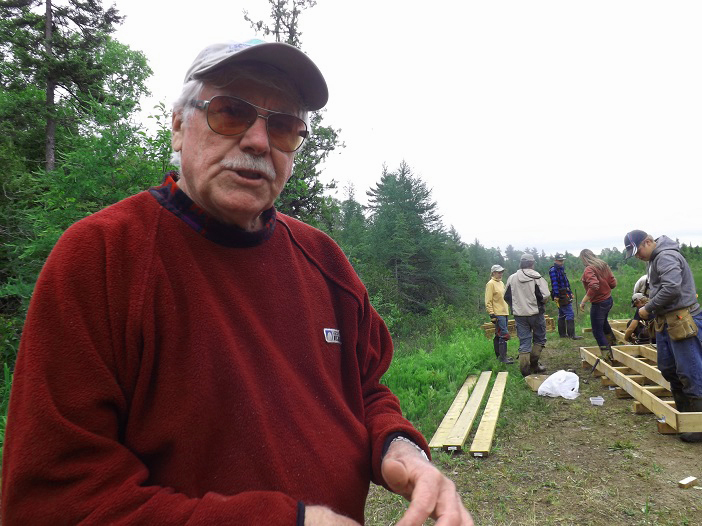 Moore, who in the mid-90’s, conceptualized the Lake Superior Basin project, was thrilled that the young people could make a connection to Lake Superior through their unrelated educational pursuits. “The Basin project was intended to be an inter-disciplinary program that focused on Lake Superior issues. We had a number of departments- science, mathematics, English to name a few, that bought into the initiative. And the program continues today. After the boardwalk is laid, there are other departments at White Pines that want to create signage and information about the various plant life and wildlife around the wetland,” explained Moore. Jim Fitton, teacher, White Pines House Building program. Jim Fitton, is the teacher for the House Building program. Though based out of White Pines students within the public school board can opt for the 4 credit semester program. Sal Dan Developments is an important partner to the program. Caleb Childs, House Building program student. 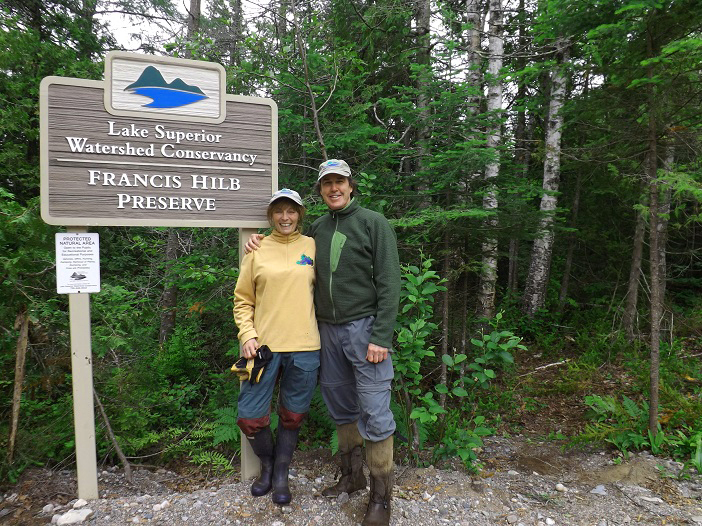 The conservationist adventure team -the McGuffins, pictured in front of the Francis Hilb Preservation entry point about 1 km west along Goulais Mission Road. Just to the right of the sign is a winding bush trail, accessible by foot only, that leads to the boardwalk and wetland. 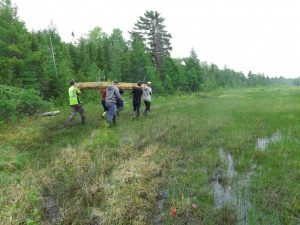 Click these links to learn more about the Lake Superior Watershed Conservancy and the Francis Hilb Preserve!